Order within 18 hours and 1 minute to receive your order by Friday 26th April. 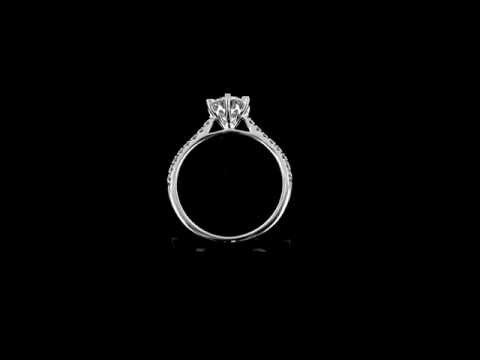 Only diamonds hold true beauty and value like this stunning elegant diamond set shoulder engagement ring. Set upon a lustrous 18 carat white gold band, encrusted with brilliant cut diamonds on either shoulder to add extra sparkle, this timeless piece speaks louder than words. For the traditional bride, this cut is the most popular for an engagement ring. The way in which each diamond has been delicately cut, they reflect light when it enters them creating a beautiful array of white light - one that can't be missed.